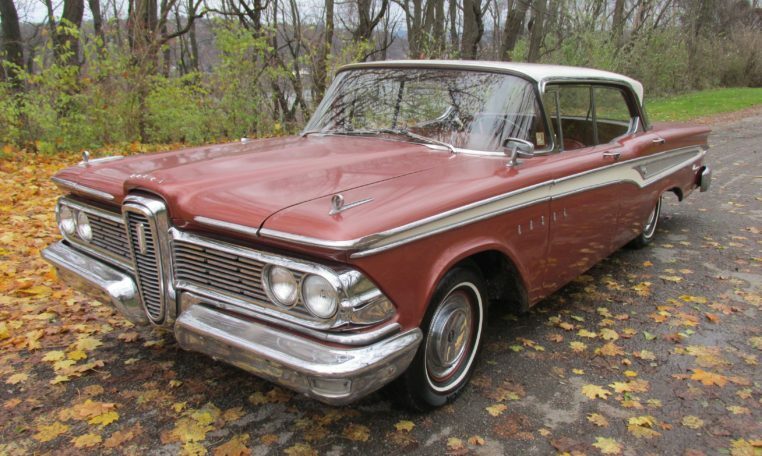 This is a 1959 Edsel Corsair 4 Door Hardtop, one of only 1,812 made. 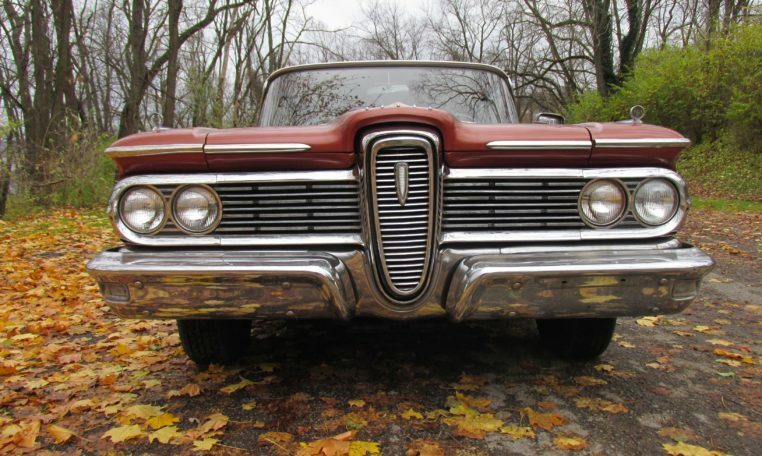 The Edsel is one of the most notorious automotive industry failures, right next to Delorean and Tucker. 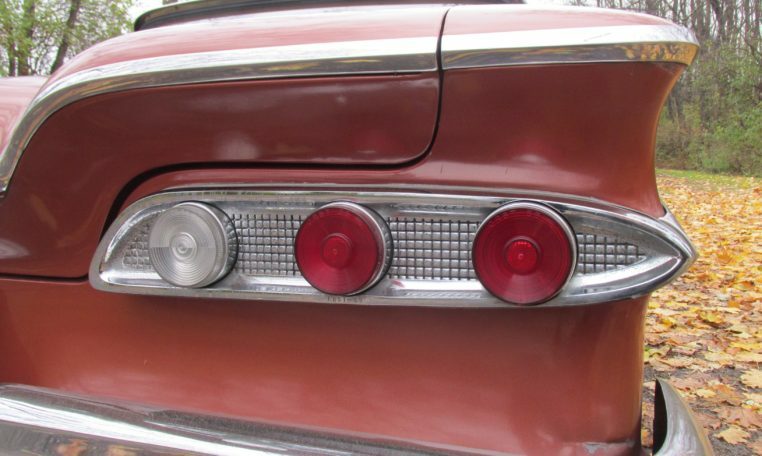 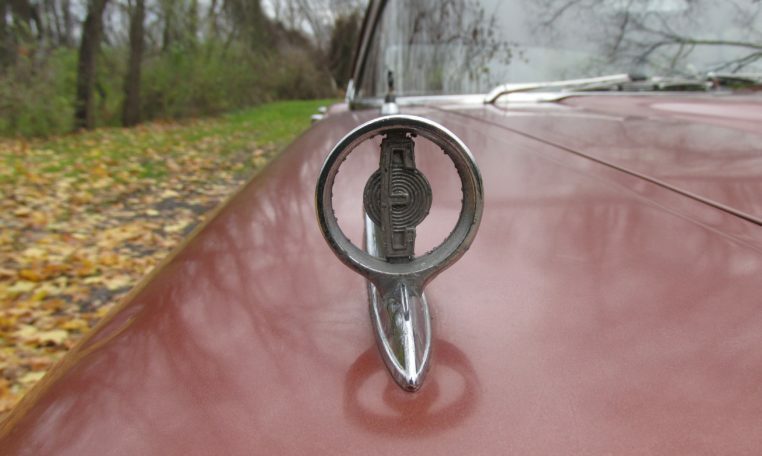 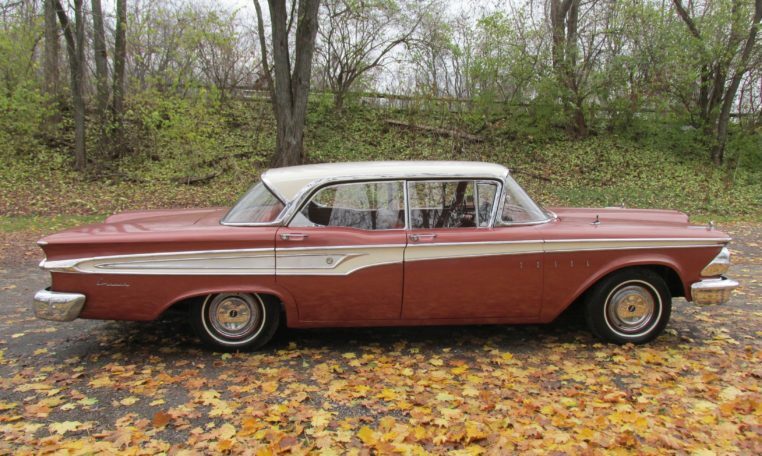 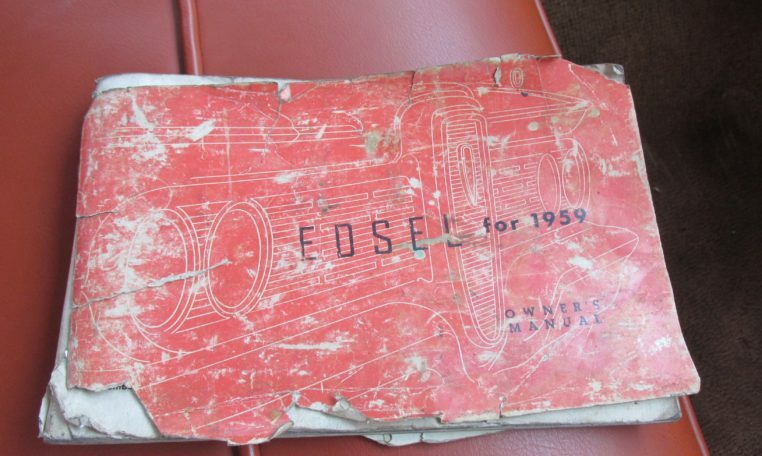 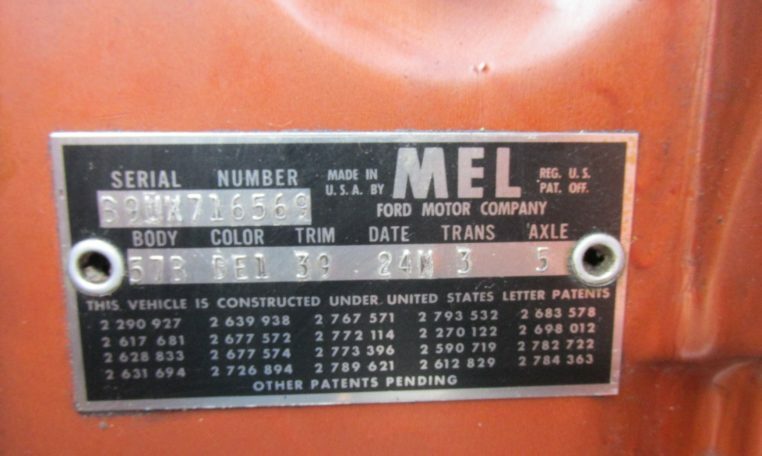 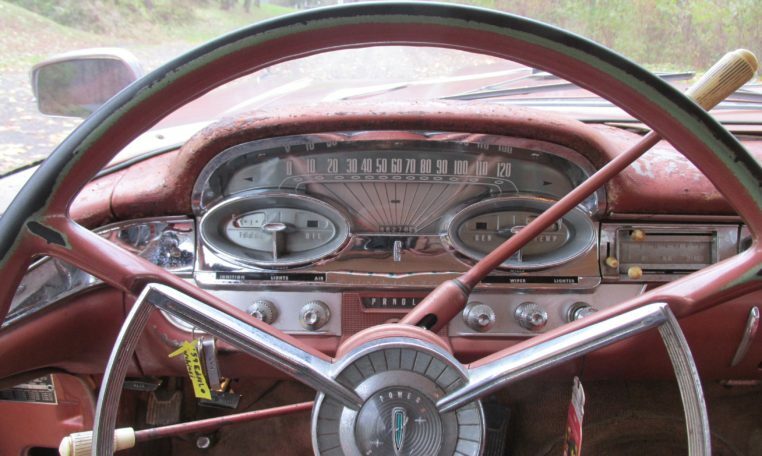 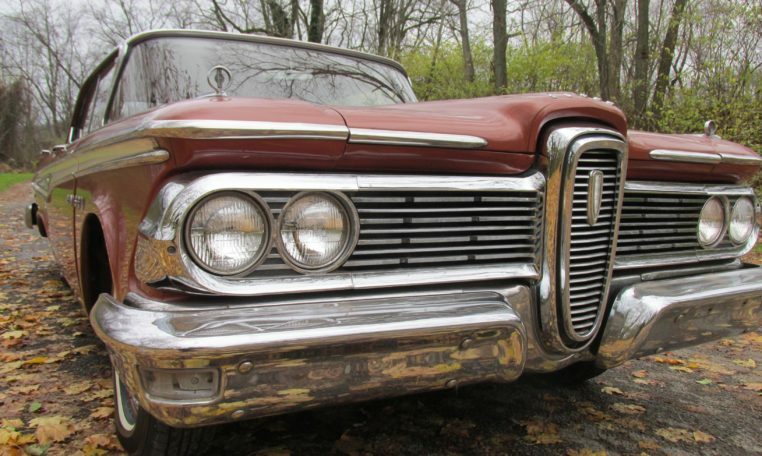 Ford predicted Americans buying Edsel’s by the millions, but they had misjudged the market. 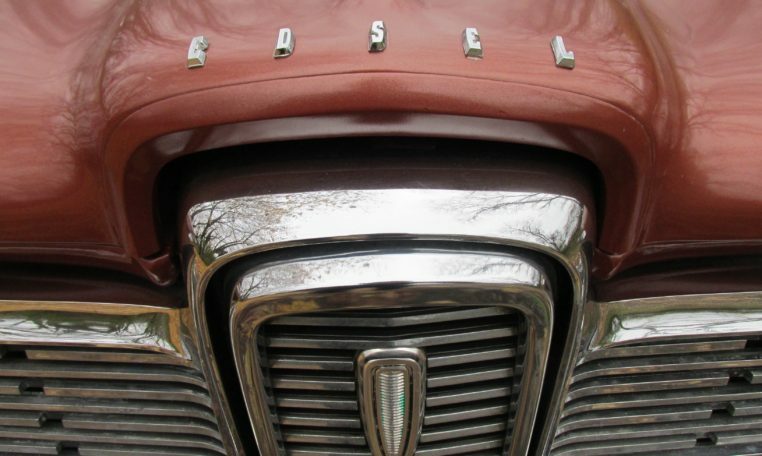 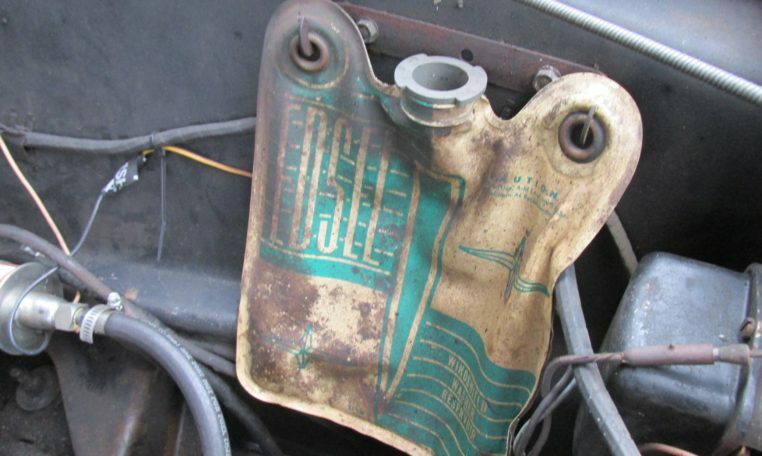 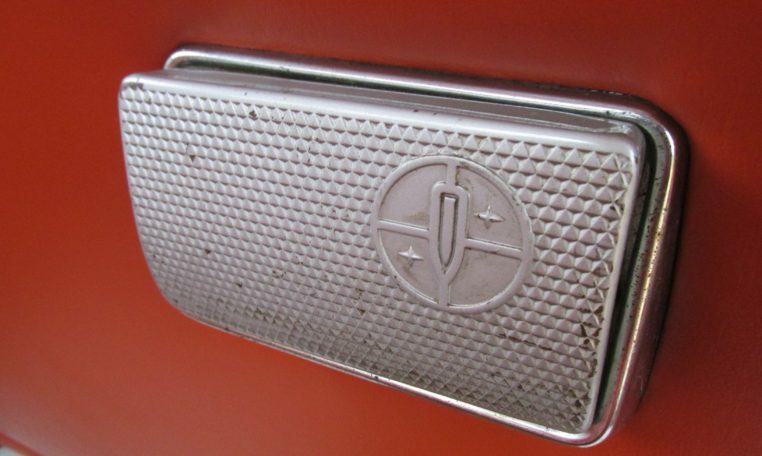 The Edsel was marketed as a futuristic car with high tech engineering, but when they finally came out, their features were underwhelming, the styling was too unique for most, and they were too similar to Ford products. 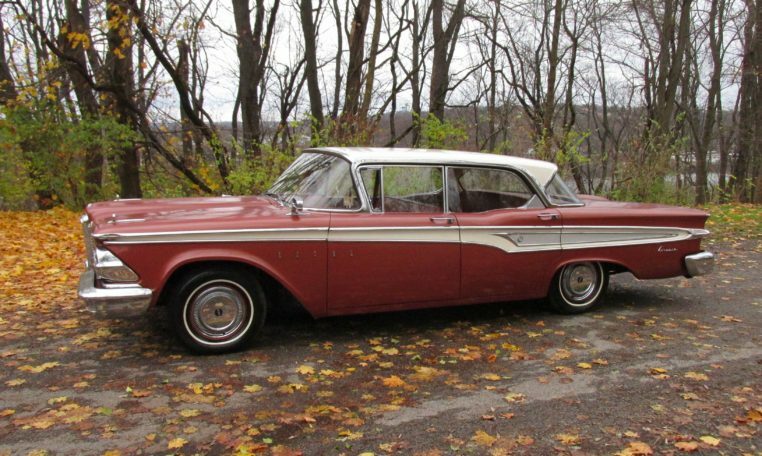 This particular car is the rare 4 door hardtop. 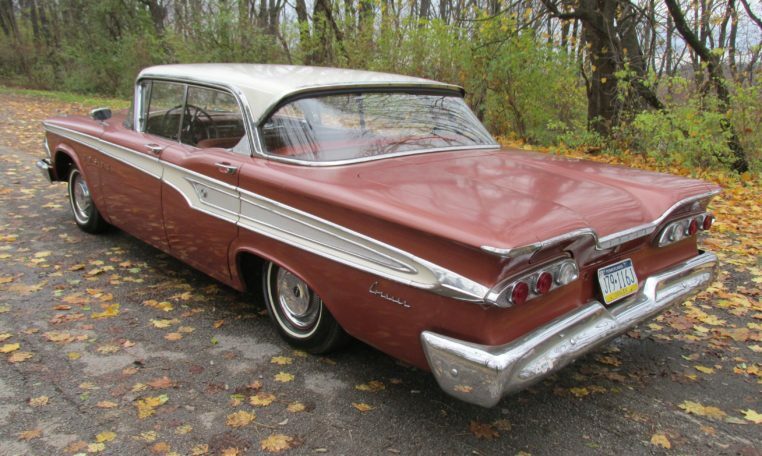 She was built December 24th, 1958 for the ‘59 model year. 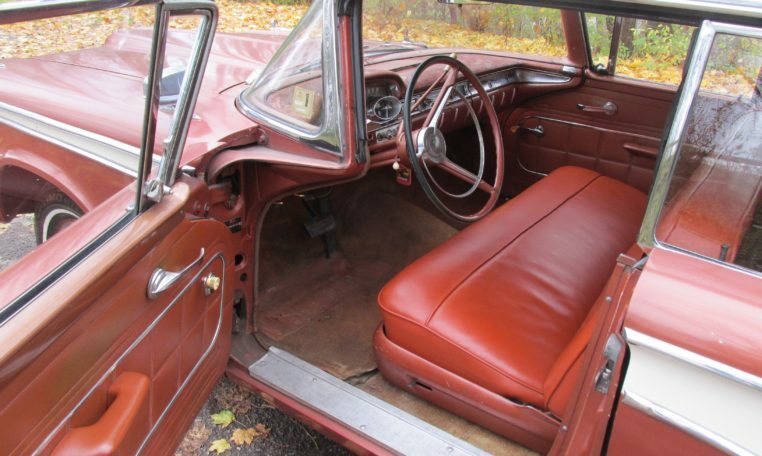 She’s painted her original color of Redwood Metallic with Snow White top. 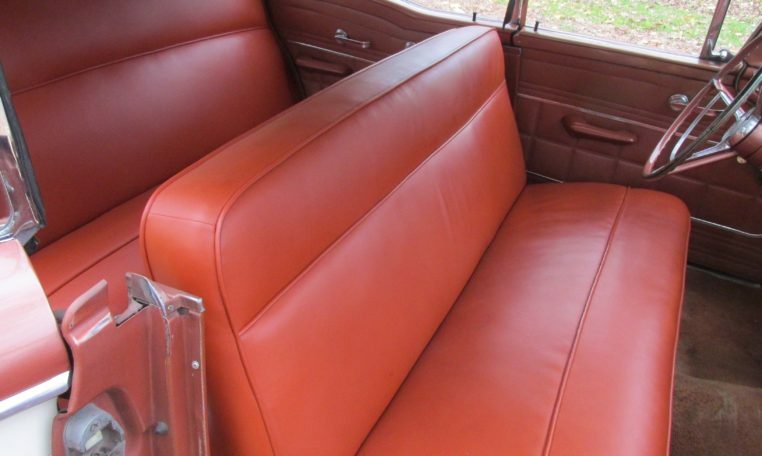 The interior is the correct Redwood Vinyl. 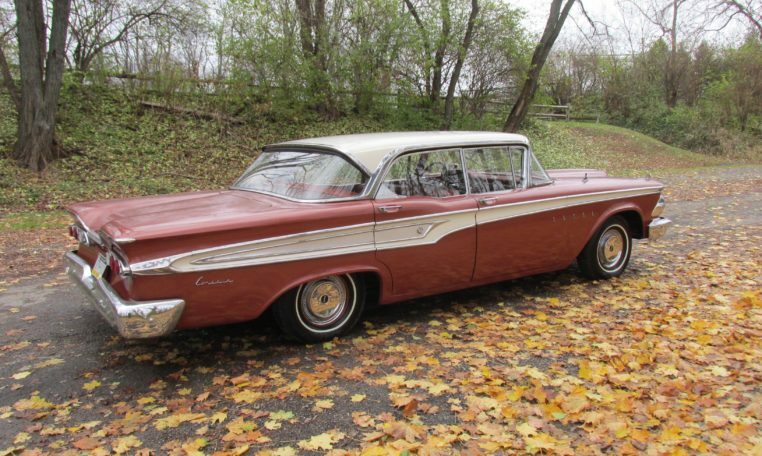 She was optioned with the 332 cubic inch “Express” 225 HP V8 engine and the Mile-O-Matic 2 speed automatic. 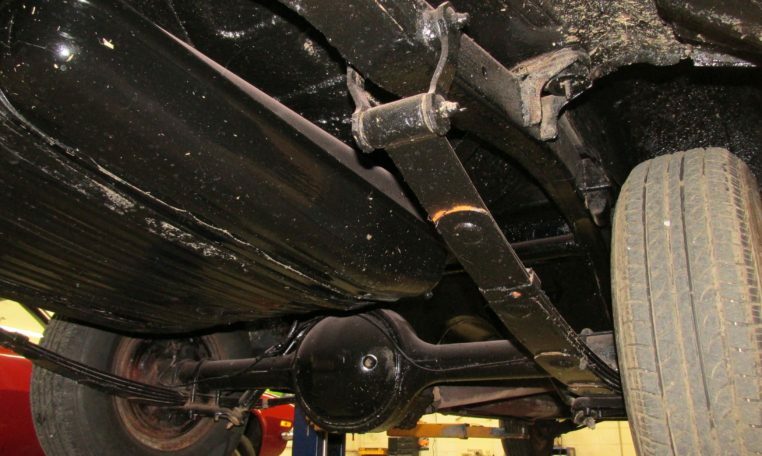 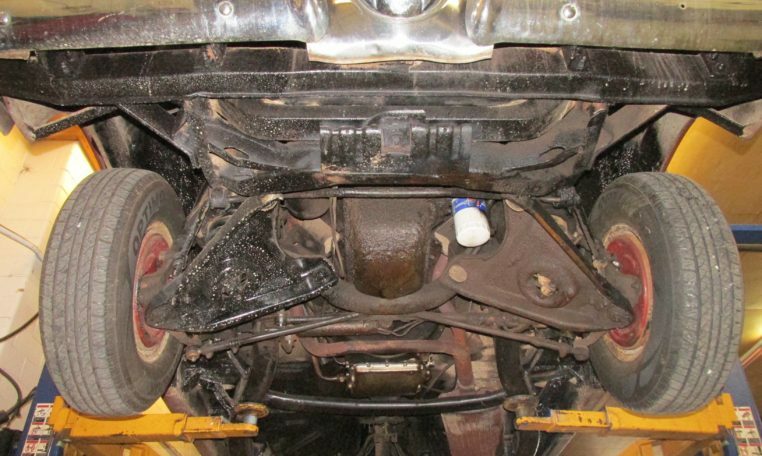 The owner gave the car fresh undercoating, new brake lines, repaired the front wheel cylinders, new gas tank, sender unit, fuel filter, points, condenser, plugs, wires, fresh oil, and 4 new tires. 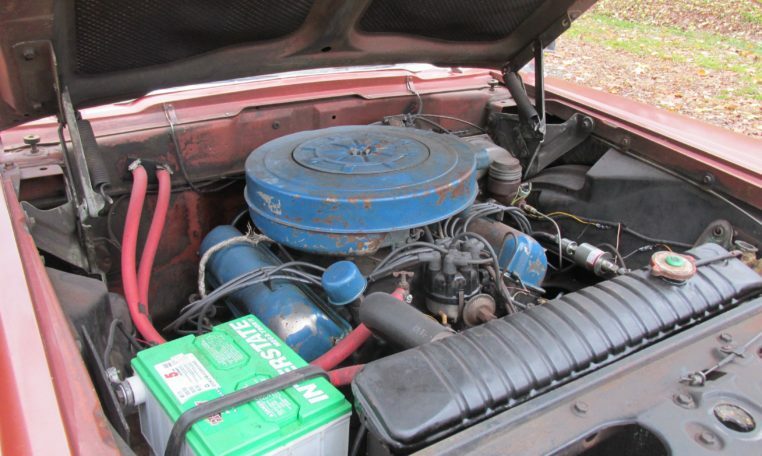 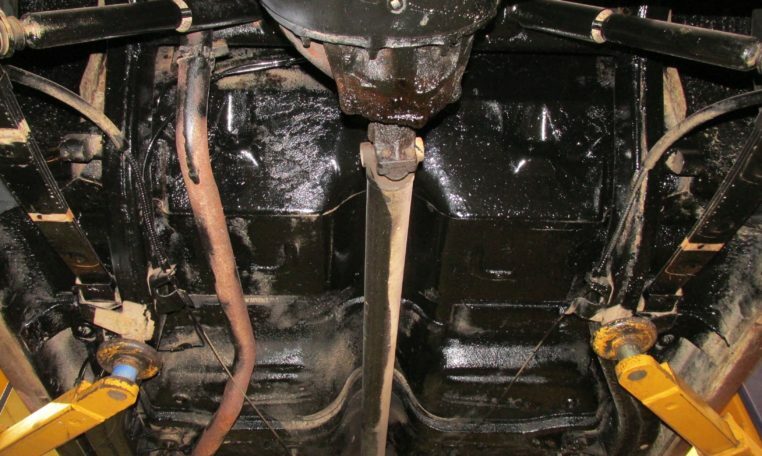 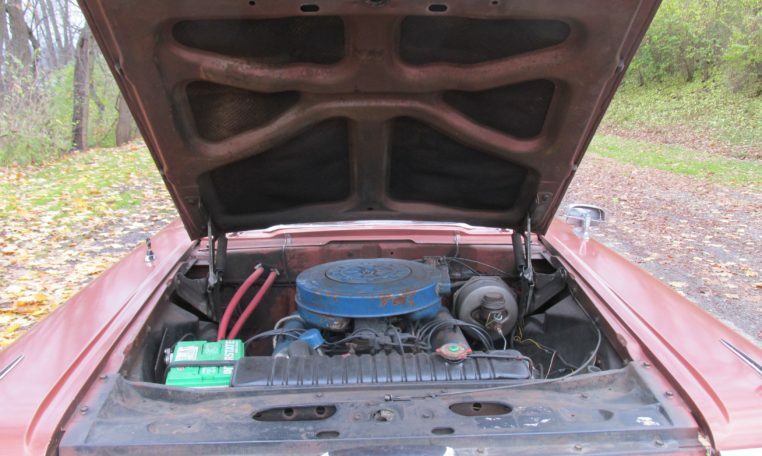 The existing problems are there is an exhaust leak, the power steering filter needs replaced, the headlights are burnt out, and some body mounts may need replaced. 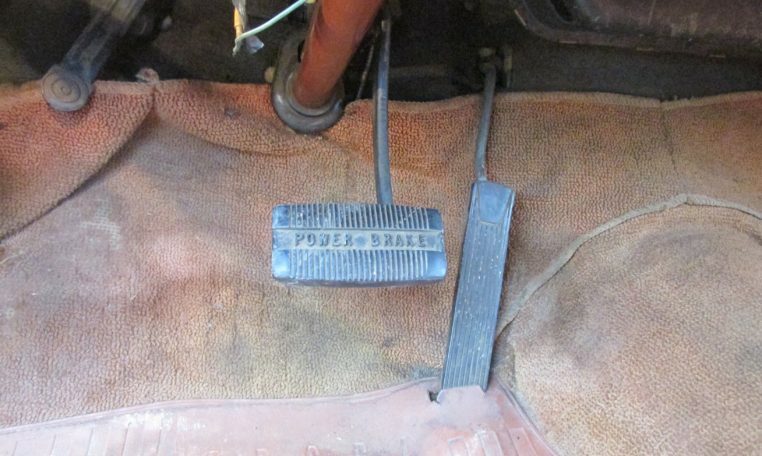 Otherwise she’s in great driving condition. 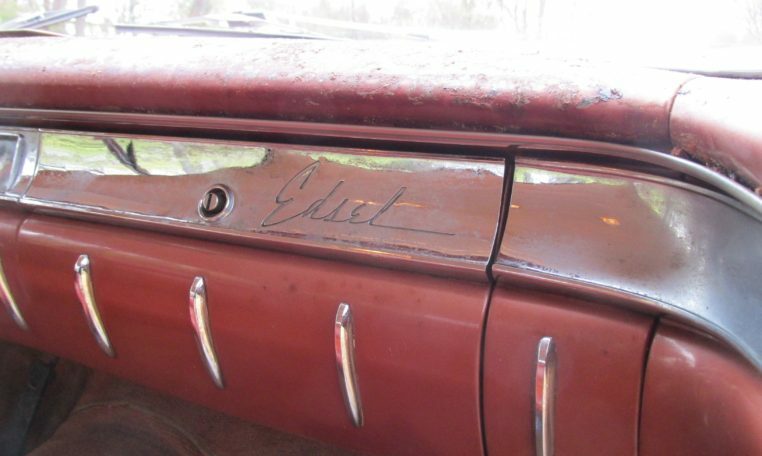 She was stored indoors for the last 30 years. 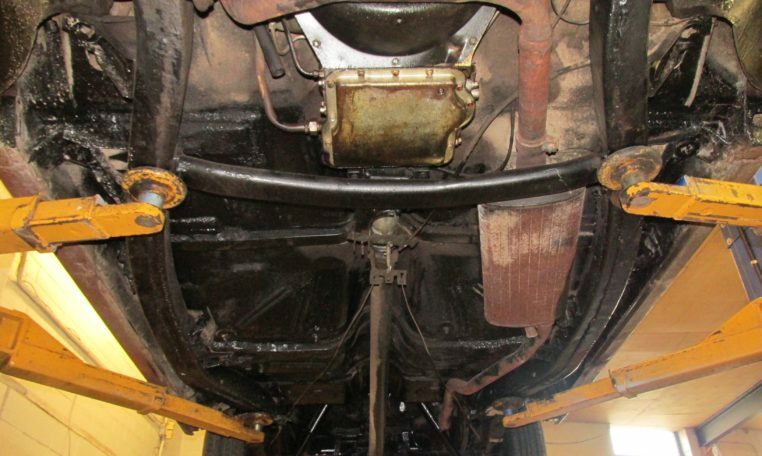 Cosmetically, the body and trim are in good shape. 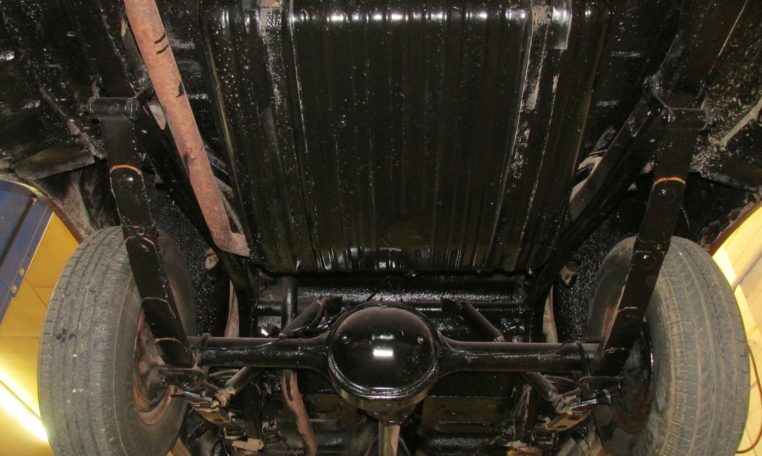 The paint is dull but could be brought back with a buff. 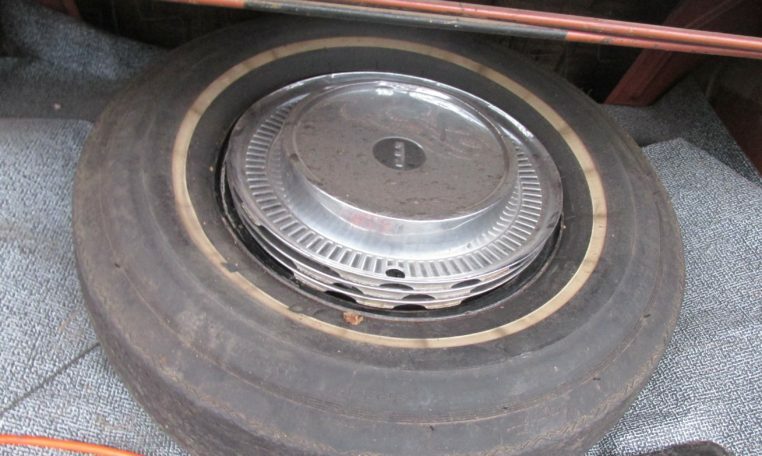 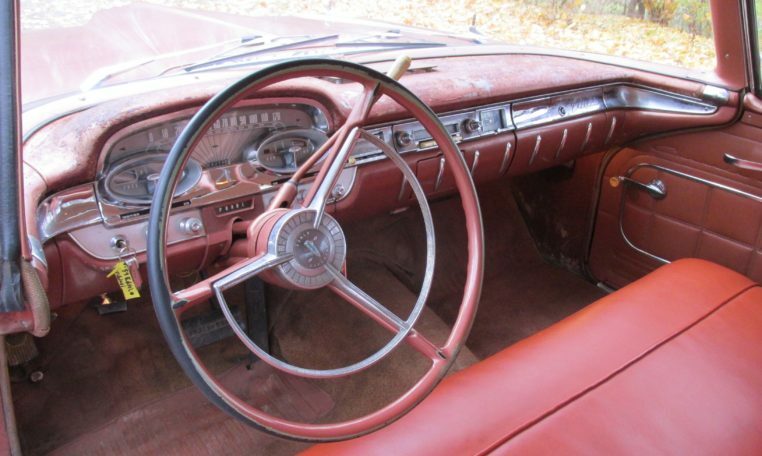 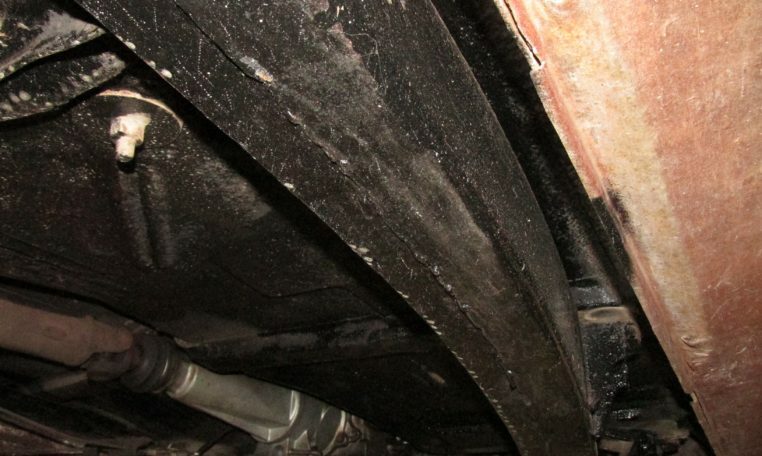 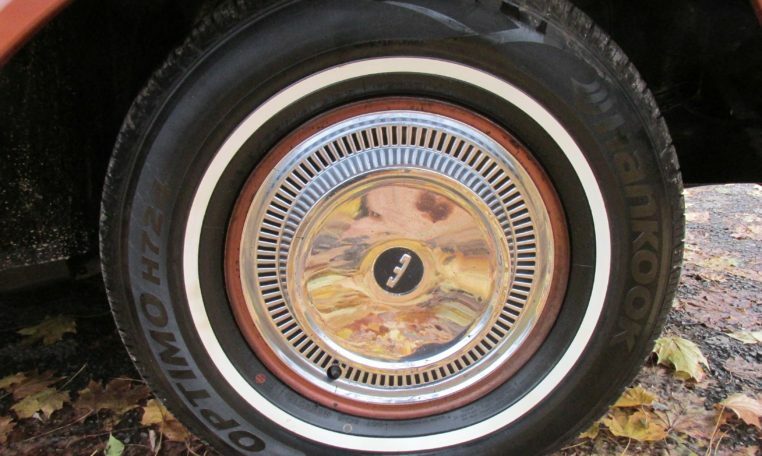 The exterior has very little rust except for very minor rust bubbles on the bottom of the wheel wells. 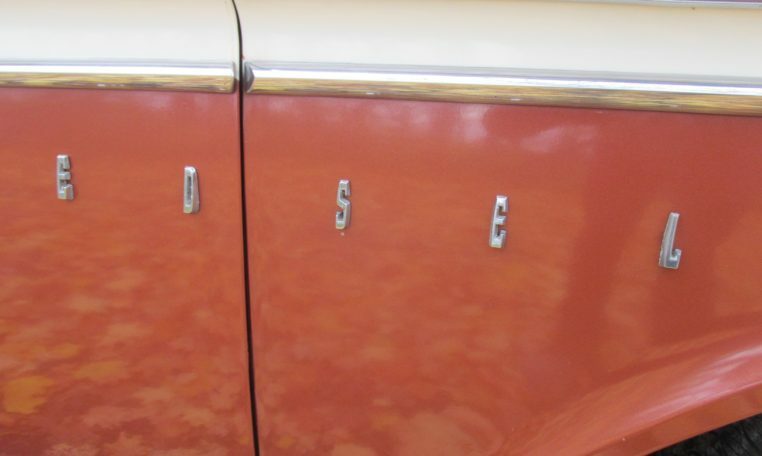 The chrome has some minor pitting. 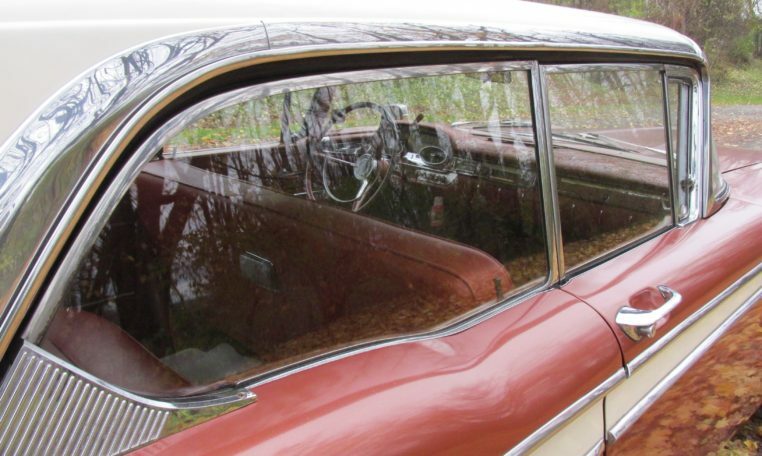 The glass is in excellent condition. 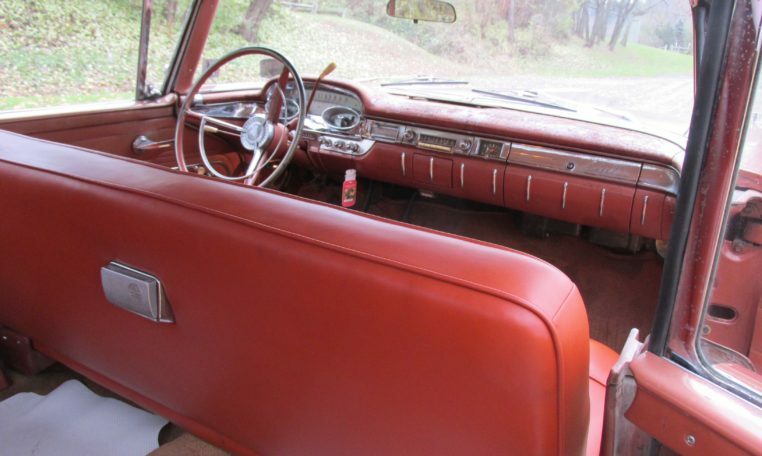 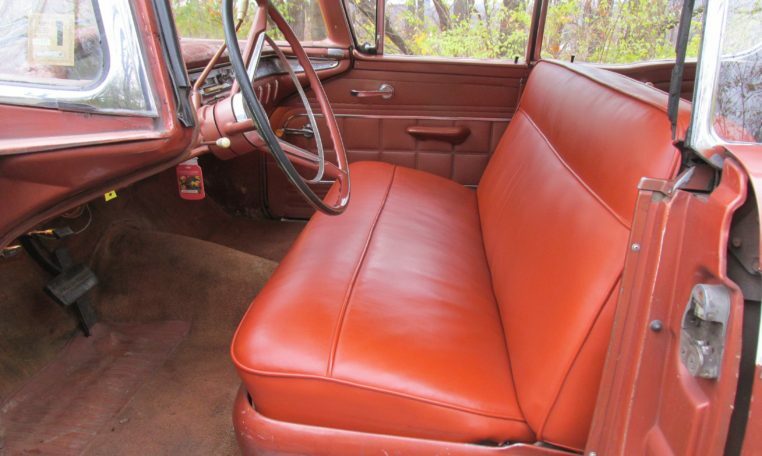 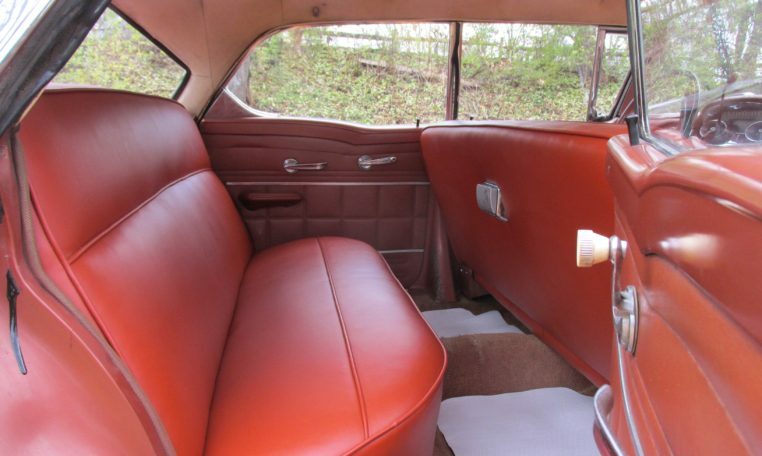 The interior is in good shape. 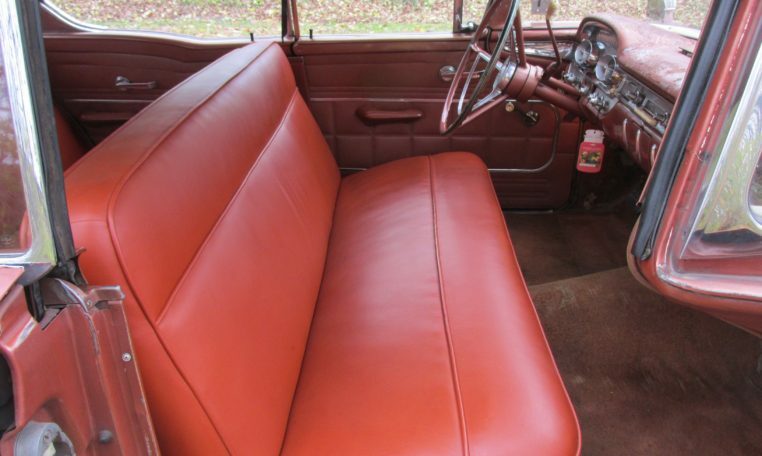 The seat covers have been replaced at some point. 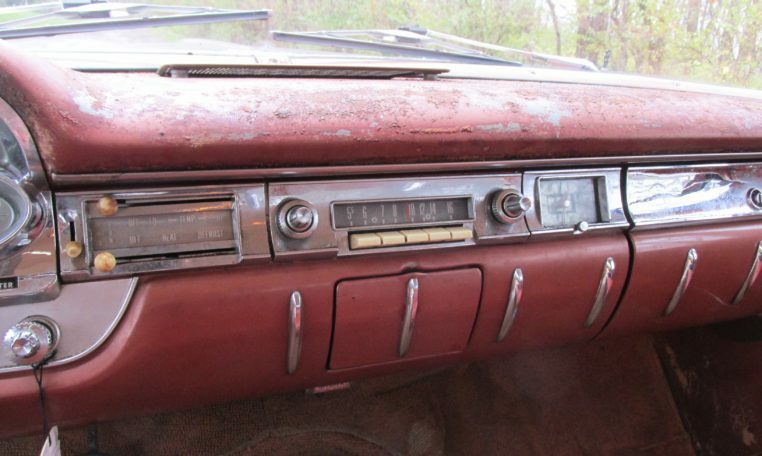 The dashboard is in rough condition from a dash pad that was removed. 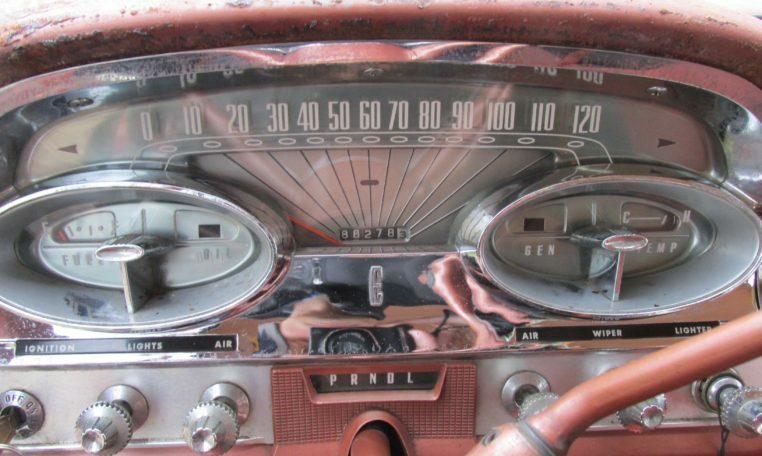 The gauges work and even the clock works (sometimes). 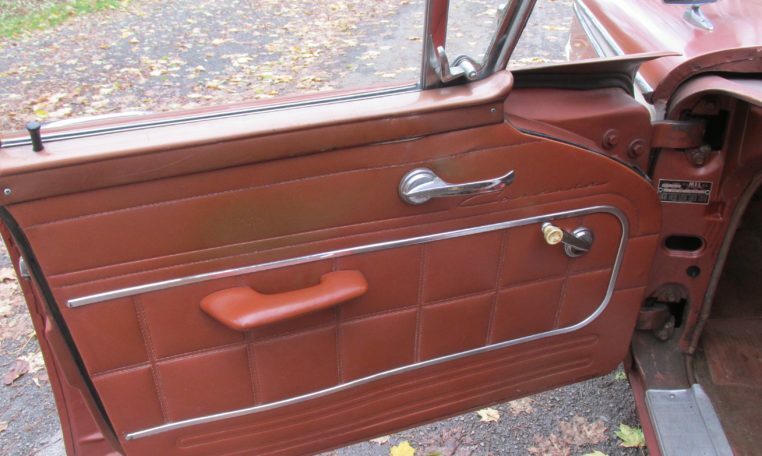 Door panels and carpets are in good condition. 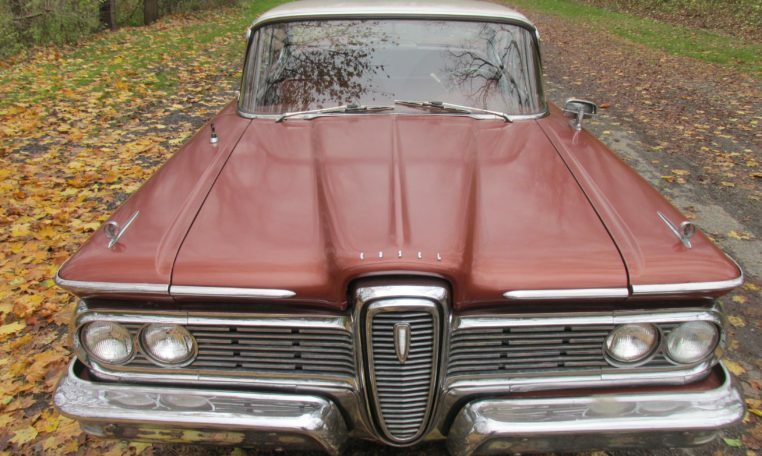 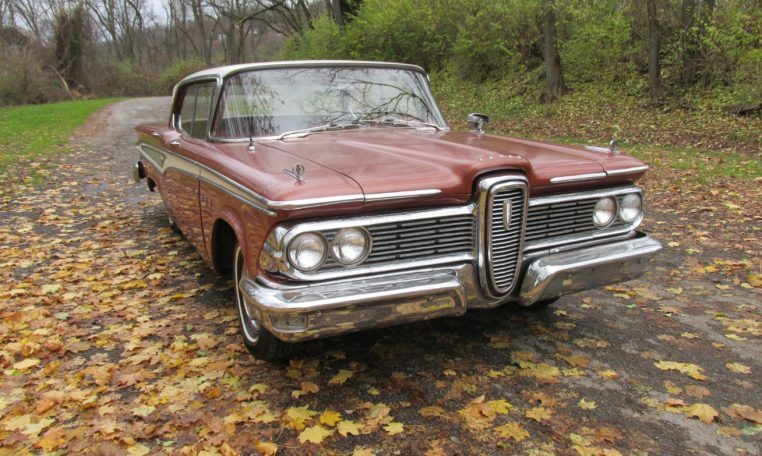 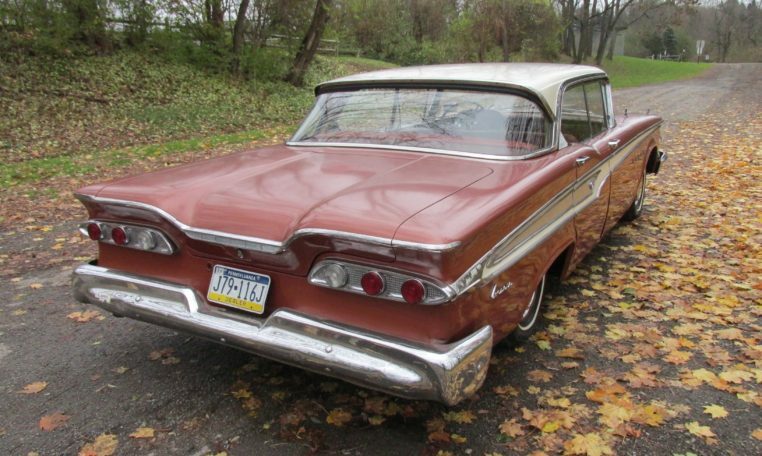 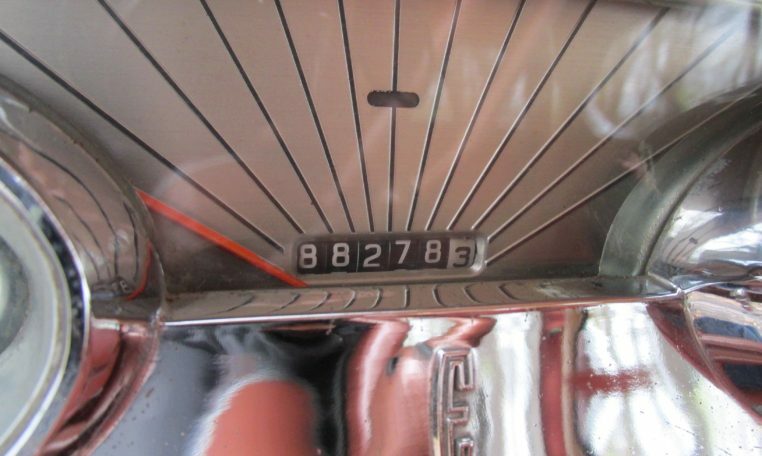 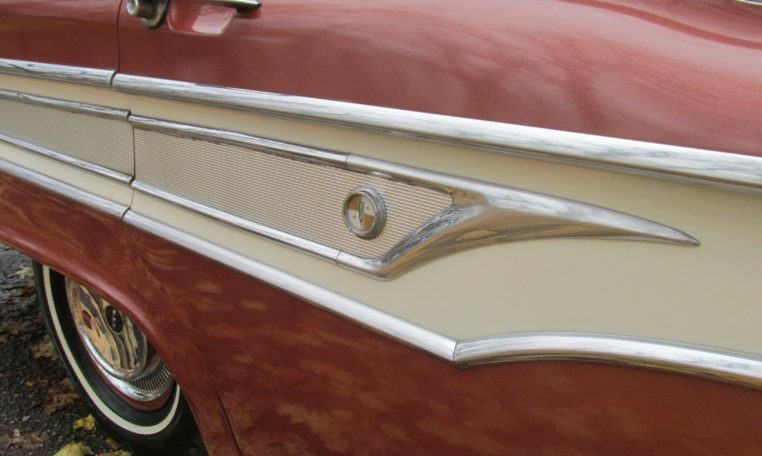 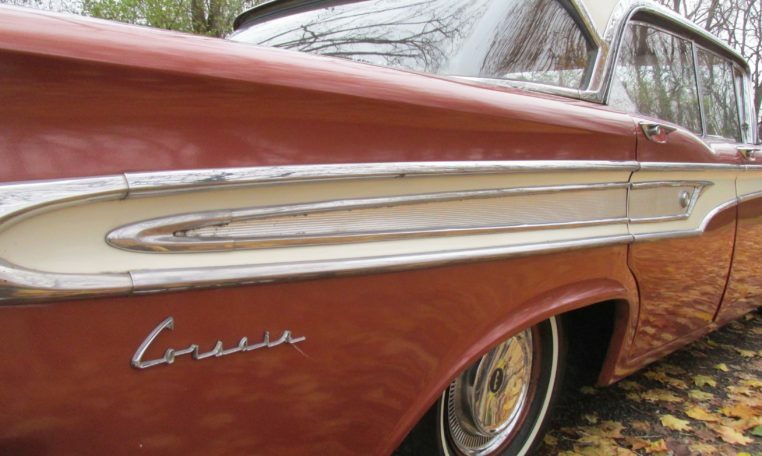 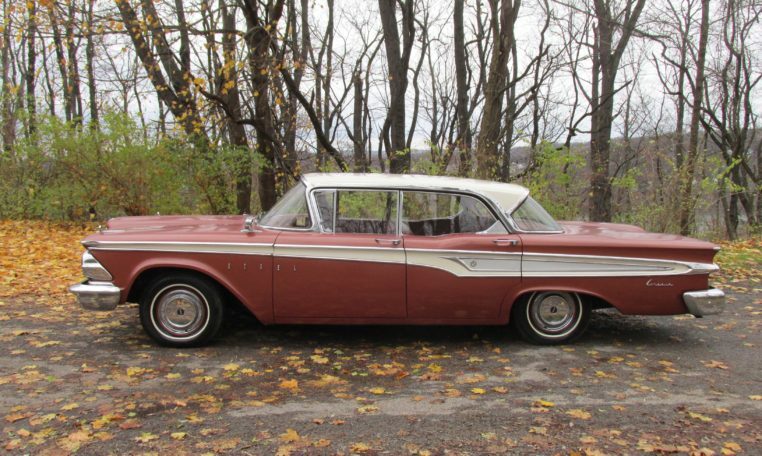 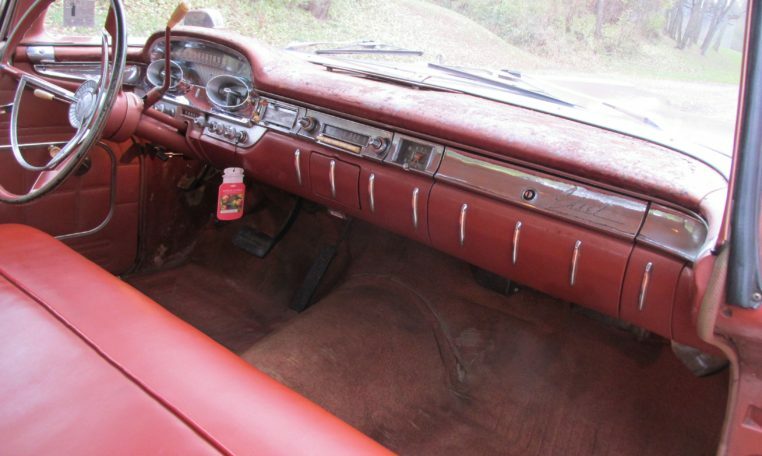 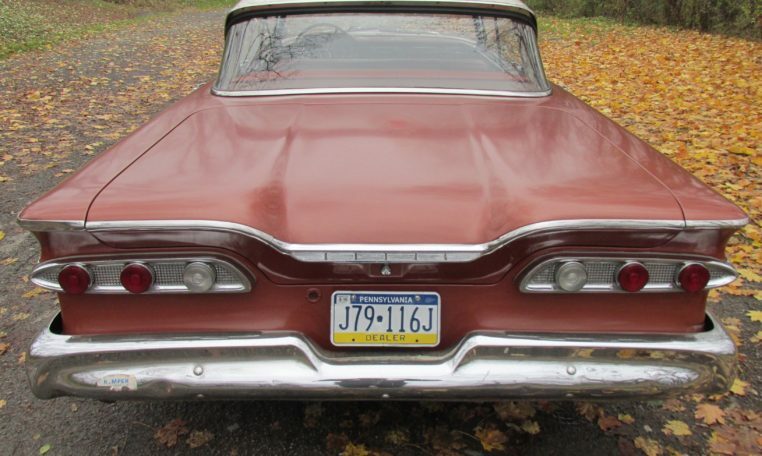 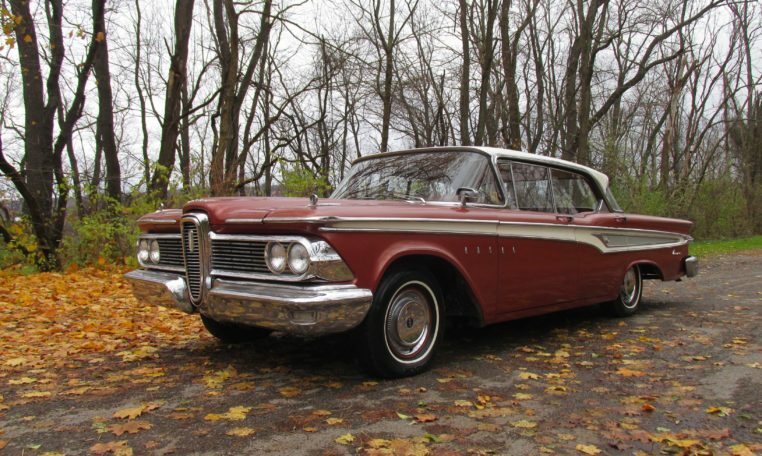 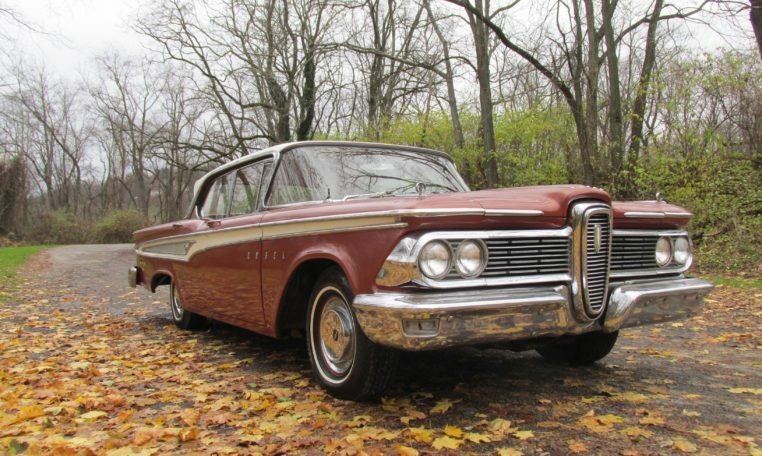 Overall, this 1959 Edsel Corsair is a rare piece of American history that you can drive. 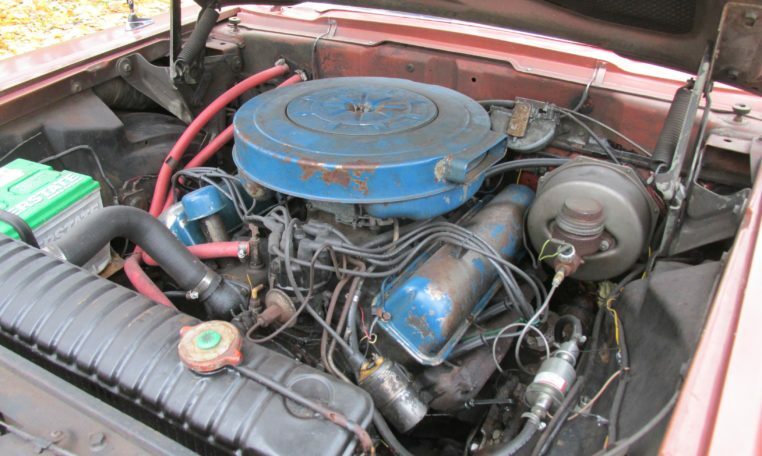 Contact us for more information or schedule an appointment. 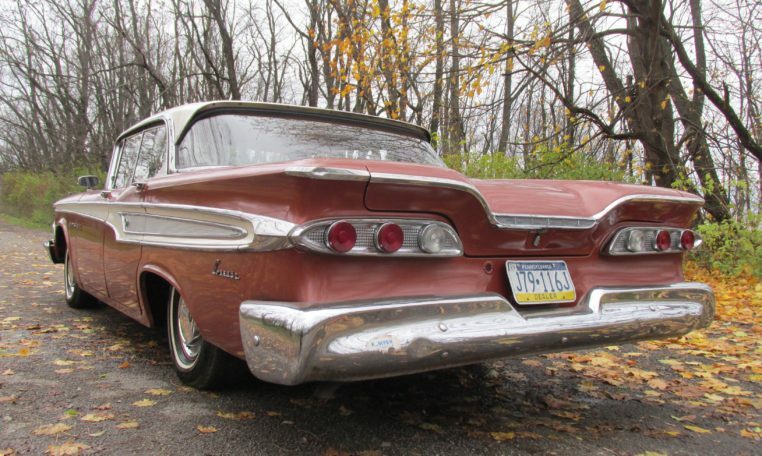 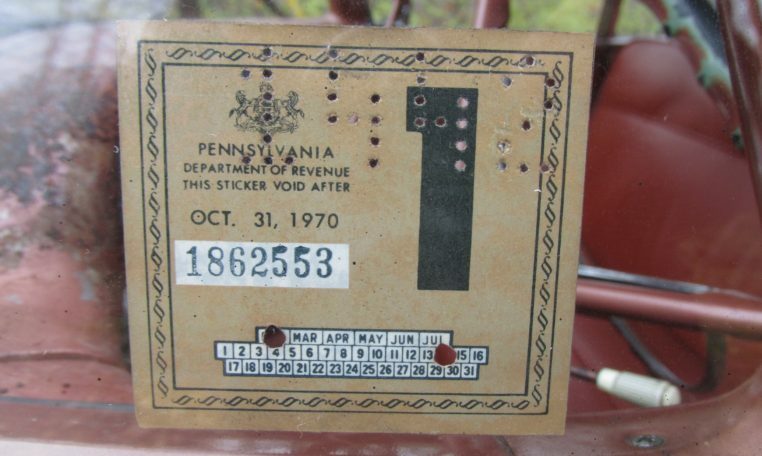 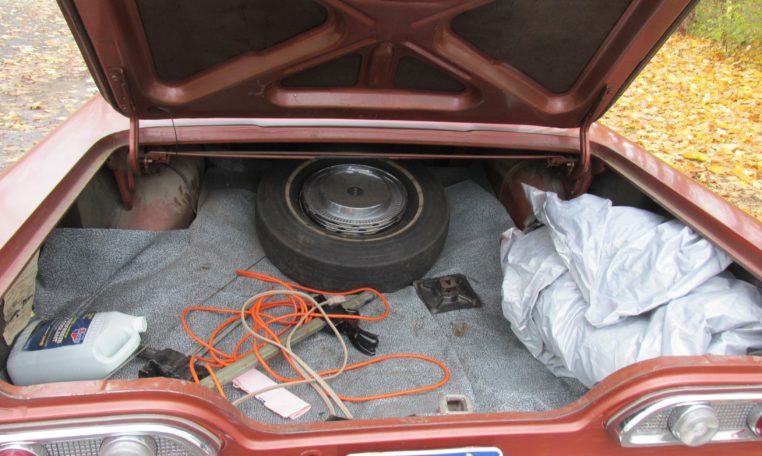 This vehicle is held on consignment and is not owned by Fort Pitt Classic Cars.